There are a number of factors to consider when selecting the right pallet. The goal should be to get the right pallet for the job — the one that is the most cost-effective and will save money in the long run by performing well without breaking and damaging your product. What Is The Product And How Will The Pallet Be Used? The merchandise that the pallet will serve is the single most important consideration. A product’s physical nature and logistical specifications — size, weight, storage requirements and shipping method — are all important when it comes to choosing the correct materials to be used in the pallet. Wood comes in four grades as defined in PDS: premium grade, standard grade, utility grade, and economy grade. Another option is the use of remanufactured (recycled) material. 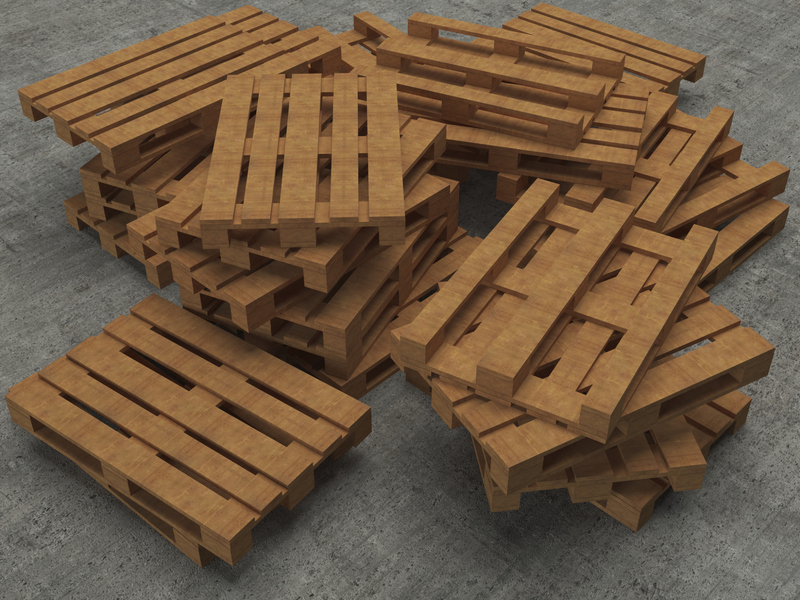 When designing a pallet, the use of higher grades of wood, will likely drive the purchase cost up. But businesses should resist the urge to use cost as the primary determining factor in purchasing pallets. A few pennies saved on cheaper wood can lead to broken pallets, damaged goods and work stoppages in the supply chain. Instead, businesses should make sure the wood grade meets the needs of their product. Standard grade wood has less defects than economy grade wood and makes a strong, reliable pallet. Standard grade material is often used in pallets that are subject to ISPM 15 standards. On the other hand, construction materials businesses can opt for economy grade or remanufactured materials to answer their pallet needs. Wood Density: How Much Load Will The Pallet Bear? There is a direct correlation between a wood’s level of density and the amount of weight it can tolerate. For a company that ships low-weight items such as potato chips, they can get away with low-density wood that isn’t designed to bear a heavy load. But for an auto-parts manufacturer that moves car transmissions, strong, dense wood is an absolute must. Logistical Considerations: Where Is The Product Going, How Is It Getting There? Pallets are the backbone of the shipping industry, and one size definitely does not fit all. If a business’s product doesn’t conform to the standard 48 x 40 pallet, then they have to work with a pallet provider who excels at customization for oddball dimensions. Pallets should be designed to make the most efficient use of space on trucks. Some pallets have to be compatible with forklifts, while others will be stacked in a warehouse and need extra protection for the merchandise within. Pallets that will be racked have different requirements altogether. By partnering with a reputable pallet provider, you will ensure that you’ll find the right pallet for your specific business needs!